Mama’s boy Chester Hubert drums up the courage to ask a witch’s granddaughter to the school dance – and finds himself hurtling through a modern, demonic fairy tale. Quiet, elfin Flannery is not like other kids. She has caught the attention of the faerie, beautiful evil creatures from a mysterious Otherworld. They seduce their victims at midnight raves, then feed them to a dragon. For sport, they hunt souls with a black dog of prodigious evil. And they have taken Flannery for one of their own. Thrust together in the Otherworld’s dark enchantment, Flannery and Chester discover they know each other better than they know their own hearts ... but can they sort things out before the black dog finds them? 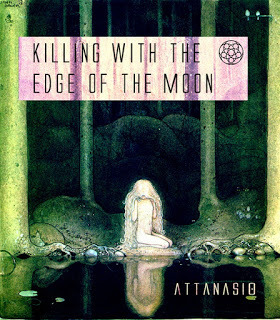 The audiobook edition of Killing with the Edge of the Moon narrated by Destiny Landon and Lee James available at Audible.com. A bold escapade with a young soul-catcher from Borneo kidnapped by pirates in 1609. 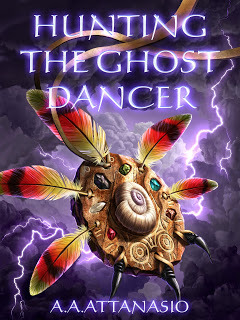 Headhunters, sorcerers, pirates and Indian princes thrive in this adventurous, poetic tale of a young outcast in Borneo. Born in 1609, son of a native woman and a Dutch sea captain he never knew, Jaki Gefjon grows up in the jungle as a sorcerer's apprentice. 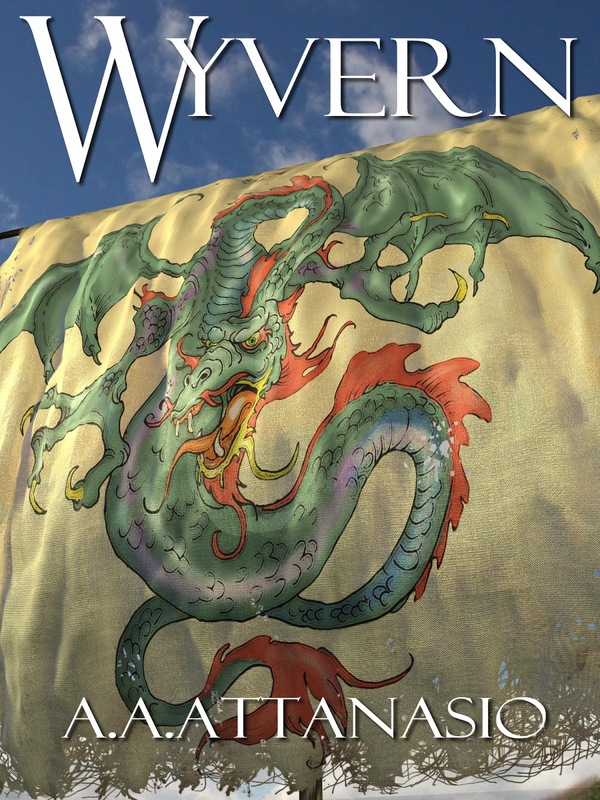 Later kidnapped by pirates, he befriends his captor, Trevor Pym, notorious for his dreaded man-of-war, Wyvern. The scientific marvels on the European privateer become the young soul-catcher’s passion—until he falls for Lucinda, the headstrong daughter of Pym's sworn enemy. Propelled by intrigue, pirates' battles, curses and visions, this seafaring saga takes Lucinda and Jaki from the South Seas to India—and to a bold, unforeseen destiny in the New World. 50,000 years ago, three young friends band together for a perilous journey to find a new home after plague devastates their coastal tribe. Accompanied by a blind horse and armed with meager weapons and their own elusive courage, Hamr, Timov and Duru defy savage odds to survive in the strange and brutal realm of Ice Age Europe. This incredible quest takes them through primeval forests stalked by cave lions and across vast glacial moraines of thundering woolly rhinoceros—to the Thundertree clan. These forest people accept Duru, the girl, for her magical powers. But the two young men must prove themselves worthy by hunting down a giant Neanderthal—the last of his line—who has been terrorizing the tribe. World Fantasy nominee. Set in the 1190s during the rule of England's Richard the Lion Heart, this historical romance explores the raw experience of love: romantic, sexual and spiritual. The dramatic action moves from Wales to a tumultuous Europe unsettled by the Crusades to intensely colorful Palestine and back. Arrogant Guy Lanfranc assumes control of the family castle by sending his hated mother, the old baroness Ailena Valaise, on a pilgrimage to the Holy Land. Wily Ailena vows revenge and finds the means in the person of Rachel Tibbon, a Jewish girl who survived the butchery of her family and other Jews after Crusader losses. Ailena's plot to regain the castle built by her father propels Rachel into a perilous adventure of vengeance, faith – and true love set against impossible odds. Summoned by a vengeful sorcerer snake, an army of malevolent boars has invaded the peaceful haven of Riversplash Mountain. Only a few humble friends from the swamp dare to believe they can prevent the invaders from ravaging their fertile mountain. Farmer mouse Thrym, wise hedgehog Muspul, a father-and-son team of shrews, and the beautiful mouse maiden Olweena dangerously assume the masked identities of the Brave Tails. Those legendary, sword-wielding heroes of yore originally rid their land of predators. But these small defenders will need more than masks and swords to stop this brutal onslaught – and the magic they seek is even more dangerous than the boars! Life is lonely for 13-year-old Jane Riggs in the historical New England village that is her new home — until she discovers a four-hundred-year-old book of spells that really works. Guided by the ghost of the witch who wrote the conjure book, Jane embarks on a terrifying but glorious quest for magical power. Her ambition is to contact her mother, dead these ten years and remembered only in photographs. For such a great prize, Jane is willing to risk much among the weird creatures she conjures out of the spirit world. But she will need more than courage when her magic follows her to school. After an evil spirit-fox steals her classmate's soul, life suddenly gets very complicated. Coming of age among dark, elemental powers while not missing a day of seventh grade is not easy. And the answers Jane needs for growing up don't seem to be in the conjure book. The volumes of this series can each be read independently of the others. The feature that unifies them is their individual adaptation of science fiction’s sub-genre: “space opera,” which the editors David G. Hartwell and Kathryn Cramer define as "colorful, dramatic, large-scale science fiction adventure, competently and sometimes beautifully written, usually focused on a sympathetic, heroic central character and plot action, and usually set in the relatively distant future, and in space or on other worlds, characteristically optimistic in tone. It often deals with war, piracy, military virtues, and very large-scale action, large stakes." 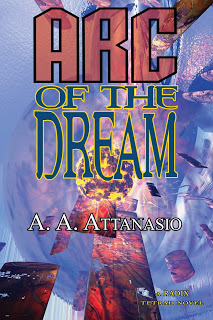 A saga of a young man's odyssey of self-discovery on an eerily alien Earth thirteen centuries in the future. Rich in detail and filled with beings brought to life with intense energy, this strange and beautiful world reveals its secrets as Sumner Kagan changes from an adolescent outcast to a warrior with god-like powers. In the process, we accompany Sumner on an epic and transcendent journey. One star-chained evening in a Manhattan bathroom, Carl Schirmer, a sweet, slightly defeated bar manager, spontaneously transforms into energy and finds himself transported to the farthest extreme of the universe, 130 billion years in the future. Turned loose in time's last world, the strangest of all – the Werld – Carl discovers a domain of indescribably beautiful islands floating in a sky contoured by gravity lanes. 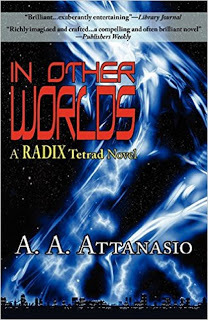 An alien from a higher dimension has fallen to Earth, trapped within a continuum too small to contain it. In its quest for freedom, this hyperspatial being touches a handful of lives: Filling a frail Asian man with unimaginable energy. Freeing a middle-aged American from the chains of time. Wrenching a lonely French girl out of the depths of madness. Opening a bitter young Hawaiian punk to hope and love. Together, they join in a visionary quest to save the Earth from destruction. Seven billion years from now, long after the Sun has died and human life has become extinct, alien beings reconstruct homo sapiens from our fossilized DNA drifting as debris in deep space. We are reborn to serve as bait in a battle to the death between the Rimstalker, humankind's re-animator, and the zotl, horrific creatures who feed vampire-like on the suffering of intelligent lifeforms. The resurrected children of Earth are told: "You owe no debt to the being that roused you to this second life. Neither must you expect it to guide you or benefit you in any way." Yet, humans choose sides, as humans will, participating in the titanic struggle between Rimstalker and zotl in ways strange and momentous. 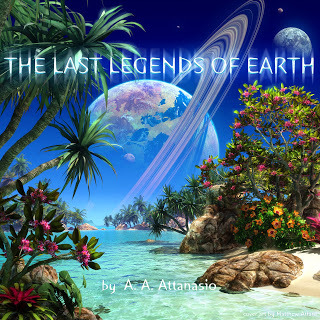 Set in the artificial planetary system of Chalco-Doror, which is no more and no less than an enormous cosmic machine, The Last Legends of Earth is a love story, a gripping saga of struggle against alien control, and an examination of the machinery of creation and destruction. Above all, it is world-building of the highest and grandest order, on a scale rarely seen in science fiction since the great works of Olaf Stapledon. “A wondrously complex novel.”—The Philadelphia Inquirer. “Few novels have ever had a broader scope.”—The Denver Post. “A wonderfully realized, richly-detailed and cohesive novel.” —People. The Last Legends of Earth is a magnificent, visionary epic of the far future. 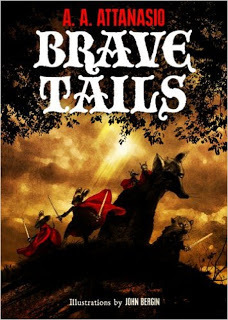 A dragon’s dreamsong, a hunt for the unicorn’s horn, and the ceaseless wars of angels and demons begin this bold retelling of the Arthurian cycle. Here is magic. And dark romance. 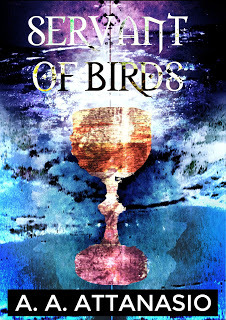 Here is Merlin’s most dangerous sorcery: the supernatural love story of Uther Pendragon and Ygrane queen of the Celts. Old as the Big Bang, the demon Lailoken assumes human form in Roman Britain as Celts battle Saxons for mastery. The druid-queen he serves calls him Myrddin and sends him to find her true love—to fulfill for her people an ancient prophecy at the frontier of life and death. 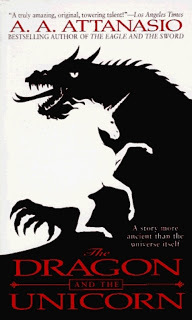 Led by a unicorn and hunted by a dragon huge as the planet, Myrddin becomes Merlinus on his quest for the queen’s mate among her remorseless enemies, the Romans. And finally as Merlin, he matches wits with gods and elves to unite Celtic queen and Roman warlord and weave the destiny of the most famous king. The story of young Arthor on his journey to Camelot. When Merlin discovers that Arthor's only joy is killing, he vows to turn the youth around with a magical sword. Merlinus has fostered the future king of Britain with Kyner, a Celtic chieftain. Protected by obscurity from the jealous hatred of the sorceress Morgeu, Arthor grows to manhood; however, he becomes a twisted creature, loving violence and hating himself. What kind of king will he be? A chance journey leading to woodland encounters shapes his character and settles his destiny. Arthor's story is a single thread in an immense, complex web of gods, demons, angels, a sorceress, a unicorn, a carpenter with a wish, a dragon, Saxons, an impoverished Aquitanian lady with a secret weapon, battle-hardened Celtic chieftains and treacherous Roman nobles, knights, warring religions—and fairies. Adolescent King Arthur's first year on the throne portrayed in chapters composed as 'flash fiction:' short, swift, emotionally percussive episodes, which reflect the intensity of the boy king's struggle to consolidate power against brigands and invading pagan tribes. Though he possesses the legendary sword Excalibur, the boy-king "Arthor" discovers that he must earn the respect of the warring lords of Britain before he can truly claim his place as their leader. Gods old and new, ghosts, witches, demons, angels, vampires, dwarves, a monkey, elves, stolen and misplaced souls, the hell that is our present day, the fabulous World Tree, Yggdrasil, that is the magnetic field surrounding the Earth, the hollow hills above the dragon at the heart of the planet, heroic adventure, and selfless sacrifice, weave a tapestry of magic and enchanted historical realism. The narrator is Rna, a clan woman 90,000-years-old. She is eldest of the Nine Queens of Avalon. 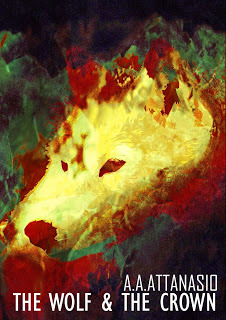 The place is Roman Britain, A.D. 491 on an alternate Earth, where Camelot is a monumental quantum gate to other worlds— The boy-king Arthor has beaten back the berserker wolf warriors of the Saxon god, uniting his island kingdom—but at a terrible cost. 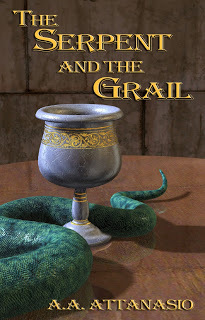 The Grail, the chalice of the Last Supper and the magical shield of Britain, has been stolen. Without the Grail's protection, Britain lies parched and barren, a demon-haunted landscape. To find the Grail, Arthor's mother, Ygrane, must strike a dark bargain with Bright Night, elf-prince of the "pale people," in the hollow hills. Merlin alone can show the way. But it is Arthor who must confront the Serpent, sword in hand, to fulfill the ancient blood rite of kings—and transform himself to King Arthur. 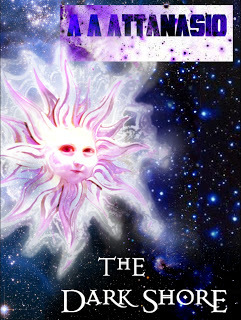 Here is an epic fantasy from the dawn of Creation, from the first worlds, the Bright Worlds. Among them is Irth. And upon Irth, in a realm of wizards, witch queens, and magic, destiny casts shadows into the Gulf and onto the Dark Shore, a universe of blacker magic and deeper mysteries — the greatest of which is Earth. 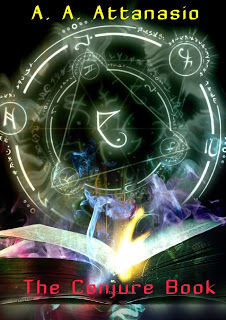 Irth is a world where magic rules — magic that radiates from the Abiding Star. The nobility, possessors of most of this mystic energy, dwell in floating cities that drift above their realms, plotting against each other for dominion. 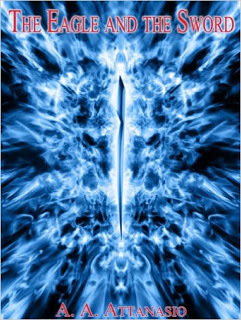 The nobility cast off the Edge into the abyss beyond the reach of the Abiding Star those who fail in their attempts to hold or usurp power. There, the outcasts fall into the cold world of the Dark Shore — onto Earth — whence no one has ever returned. Until now. Hu’dre Vra, formerly an abject scavenger who found a magical sword but failed to use it wisely, plummeted into the abyss, only to return from the Dark Shore with an awesome new power: black magic. At the head of an army of cacodemons impervious to Irth’s enchantments, Hu’dre Vra the Dark Lord wreaks a terrible vengeance upon the world that exiled him. But there is resistance to the Dark Lord’s rule of terror. The mysterious, inventive thief Ripcat and his crafty partner Dogbrick form an uneasy and dangerous alliance with the brave young noblewoman Jyoti and her small band of comrades, among whom is her family’s ancient sorcerer, Caval. Together, they all must pit their courage, their wits and their lives against the brutal minions of the Dark Shore. A gnome wanders among strange worlds of immeasurable beauty and terror on a quest for magic to restore the health of a goddess. If he fails, all creation will dissolve. And so he must dare anything to succeed, even trespass a realm of terrible darkness, pain and dread sorcery — Earth. The Lady of the Garden, one of the godlike Nameless Ones, has used her magic to dream into existence the worlds of the Bright Shore. But now her unborn child lies motionless in her womb. 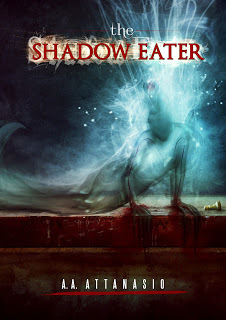 An intruder from the Dark Shore, the malevolent shadow of her dream, threatens the life of her unborn. If she cannot locate and expel this shadow thing, she will waken the child's stern father, and he will dissolve the dream — and the Bright Shore will vanish. In order to save the Lady of the Garden's baby, an old gnome travels through the many worlds in search of the creature of darkness whose presence threatens the dream of creation. 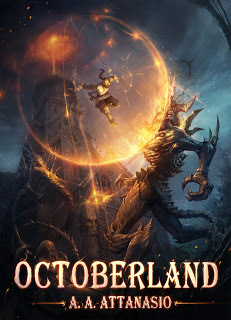 A Manhattan coven, Octoberland, weaves ancient black magic to preserve the life of its 7,000-year-old leader, Nox. The sorcerer staves off death by leaching years from his followers’ blood. But Nox’s reckless search for eternal youth has opened the gate to—Irth. From this alien world of wizards, witch queens, and blacker magic yet, goblins invade Earth! Darkness lurks at the heart of a city on Irth rebuilt from ashes — as a weak-minded ruler and his renegade witch wife hoard technological trinkets from the Dark Shore … from Earth. Automatic weapons challenge talismanic magic and the amulet power of Charm. Evil threatens two worlds — Irth and Earth — in the stunning climax of The Dominions of Irth. Featuring seven captivating, terrifying, and poetic short stories giving form to a universe both wonderful and mysterious: Visit an alternate America discovered and settled by imperial Chinese — Sleuth with a hardboiled detective in ‘30s Honolulu — Tour hell with an accidental demon hunter — Meet the Designers of our universe — Investigate the inner life of a vampire yoga instructor — Discover branch universes of evil beauty — and watch an Artificial Intelligence confront the ghosts of our blood. I had no idea you had written all of these. I've got reading to do. 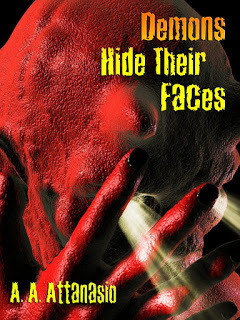 I'm brightened that you've connected with my fiction, Brandon - and heartened you want to read more! Your series on King Arthur made a huge impression on me 20 years ago or so when I read them. They really spoke to something deep within my subconscious. These are very important books. Thank you. What an open-hearted moment for me, meeting a reader who has a real poetic engagement with my art. Especially King Arthur! His story reaches into the soul of the West, our Celtic twilight, which calls to our deep cultural love of individual destiny. Thank you, Jason, for brightening my destiny. All these years later, Benoit, I'm boosted to know that, from out of the thousand darknesses in which I wrote Radix, that story continues to illuminate our human presence. Indeed, Radix is one of the finest works of the 20th century, or any century, for that matter. I have read it numerous times, and every time seems like the first. I'm about to read Last Legends of Earth . . . have saved it all these years since it was first published. You sir, are a scholar, a visionary, and no doubt, a gentleman. Cheers. 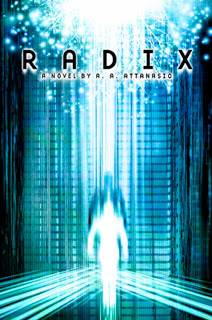 The fluent attention you've given Radix over the years creates a high bond density with that story's spirit of individuality. I know, because to this day the tale's redemptive affirmation of destiny still grabs me. The Last Legends of Earth - at the other end of the Tetrad - offers an antipodal experience of the human spirit. I hope you'll let me know how it strikes you.